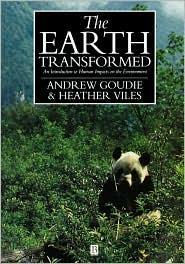 The Earth Transformed answers the need for a concise, non-technical introduction to the ways in which the natural environment has been and is being affected by human activities. It is simply and engagingly written, and illustrated with maps, diagrams, figures and photographs. Among the subjects described and considered by the authors are desertification, deforestation, wetland management, biodiversity, climatic change, air pollution, the impact of cities on climate and hydrology, erosion, salinization, waste disposal, sea level rise, marine pollution, coral reef degradation and aquaculture. The book is organized around 45 case studies taken from all parts of the globe and chosen for their intrinsic interest and representative nature. Further features of the book include guides to further reading, suggestions for debate and study, and a glossary of terms. The book is aimed to meet the needs of students beginning courses on environmental science and geography.